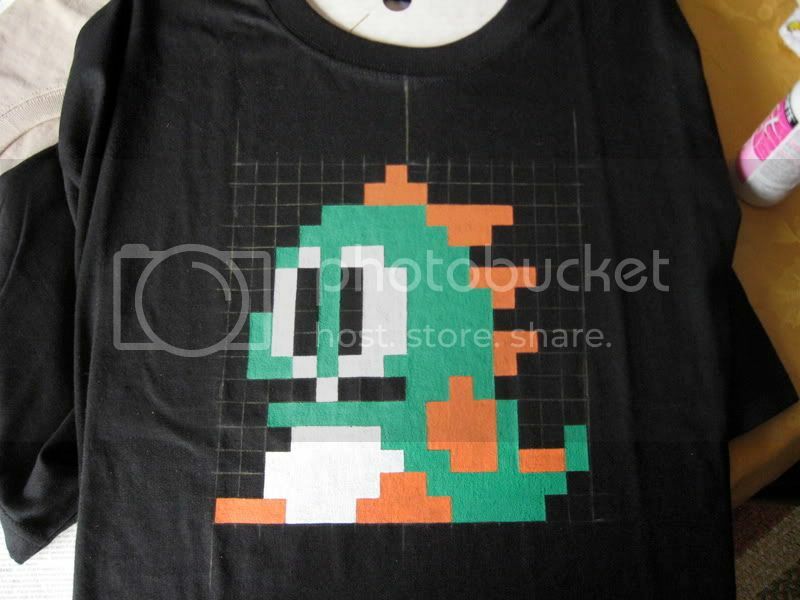 Made a second Bubble Bobble shirt as an Easter gift for a friend. Most of these shirts are given away to my friends as gifts, though I do treat myself from time to time! I was better about avoiding too many coats this time, so I think this one is an improvement over the last.